( Holds Masts from 1 to 2.25" in Diameter ) is designed to provide supplemental Wall Mount Support for ROHN H50, H40, H30, H20 and Channel Master 1620, 1630, 1640, 1650, 1820, 1830, 1840, 1850 Telescopic Push Up Antenna Masts or ANY TV Antenna Mast like the CM-1607, CM-1610, CM-1805, CM-1810, EZ 5-16, EZ 5-16S, 3S-5999 and 3S-5994 from 1 to 2.25 Inches in Diameter (Mast not included). Set of (2) comes with Installation Hardware. Guy Wire Support for Mast Sections 10 Feet and greater above this mount will still be required. Adjustable for Clamping Any Antenna Masts from 1 to 2.25 inches in Diameter. This Bracket will Stand off any Antenna Mast within this Diameter range, but is not designed to support the weight of any Telescopic Antenna Mast off of the Ground. Guy Wire Support for Mast Sections above this mount will still be required. Bonding should be made by affixment to Mast. Consult NEC and Applicable Local Code for further guidance (Set of 2 brackets includes 2 inch Lag Bolt Hardware). 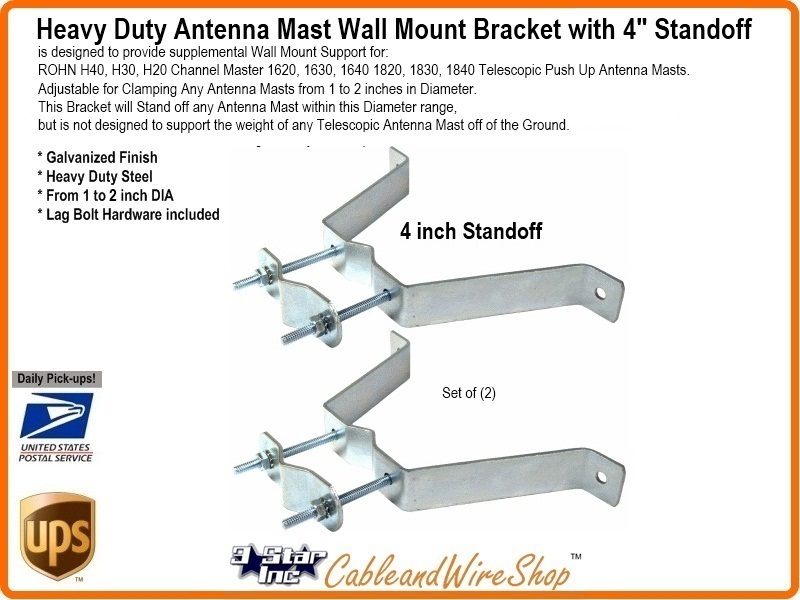 This "W" Wall Mount Bracket is Designed to Support Antenna Masts from 1 to 2.25 inches in Diameter with 4 inches of clearance from the Wall. This Bracket will provide support for ROHN H20, H30, H40, H50 and Channel Master 1620, 1630, 1640, 1650, 1820, 1830, 1840, 1850 Telescoping Masts, but not the weight of a Telescopic Antenna Mast off of the Ground. Set Screw installation may require pilot hole drilling of both Mast and Bracket. If you are Installing 2 inch or greater diameter masts or any mast greater than 10 feet in height, run the Mast length all the way to the Ground, resting the weight on a Mast Ground Plate and affix an Earth Ground there with a 5/8 inch diameter, 8 foot long Ground Rod as a minimum. Use a Ground Plate like EZ32A or GTMBL to mount the Bottom of a Telescopic Antenna Mast from the ground up, with the Wall Bracket maintaining vertical alignment and clearance from the Wall. Affix an Earth Ground to the Mast and Ground Plate with a 5/8 inch diameter, 8 foot long Ground Rod as a minimum.. 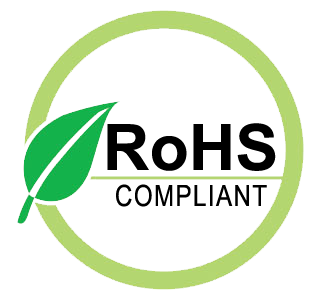 These Mounts do not replace or otherwize reduce the need for proper guying of the Telescopic Antenna Masts. Center to Center 8 7/8"